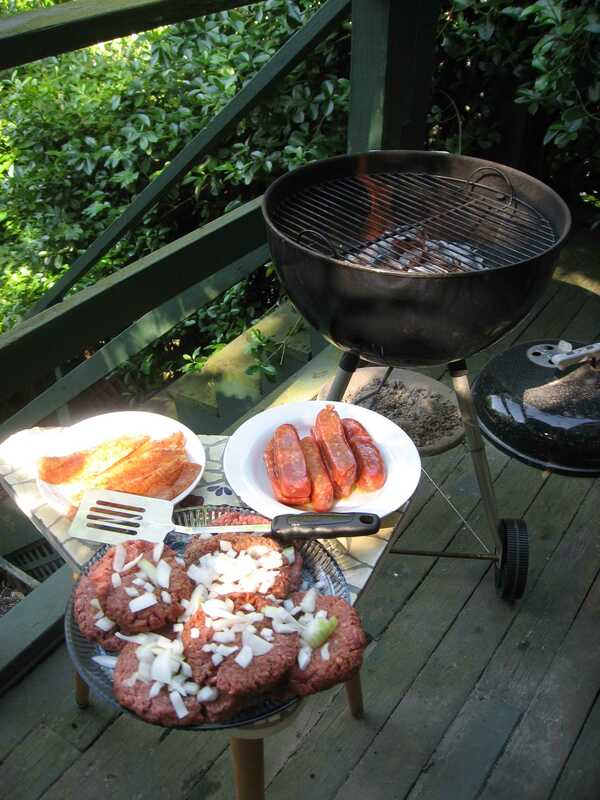 You’re off to Great Grilling! You have coals in the pit. You have fire at the ready. Just keep the heat steady. You’re on your own. And you’ll do what you will. Mark Twain may not have been the one to actually say it, but that doesn’t make it less true: it is COLD in San Francisco in the summer. Thankfully, Berkeley runs about ten degrees warmer, but tomorrow (Memorial Day) is looking to not even break 70 here, and stay below 60 across the Bay. Puts a little damper on cooking out, to be sure. 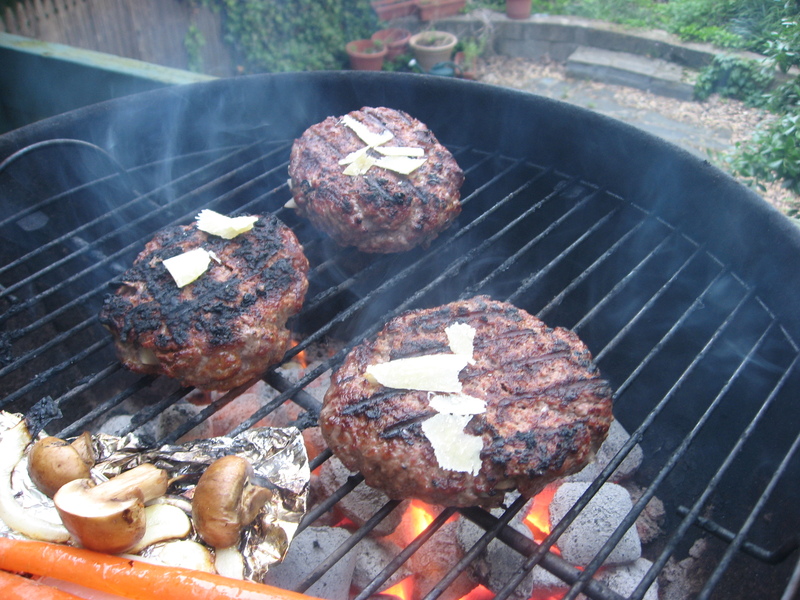 I made these lamb burgers in warmer, happier times (last week), grilling outdoors with a glass of wine in my hand. I imagine they would be *close* to as good if pan-fried, making them a good indoor/outdoor Memorial Day option, for those of you in warmer climes and for those of you, like me, staring at the gray sky outside our windows and wearing scarves indoors in May. I love eggplant, but if I’m going to be eating it, then give me lavender ones, white ones, striped ones, small truly egg-shaped ones or ones that are long and curvy and look almost like purple peppers. What are these purple pepper looking eggplant, you ask? White eggplant, you ask? Yes, reader. 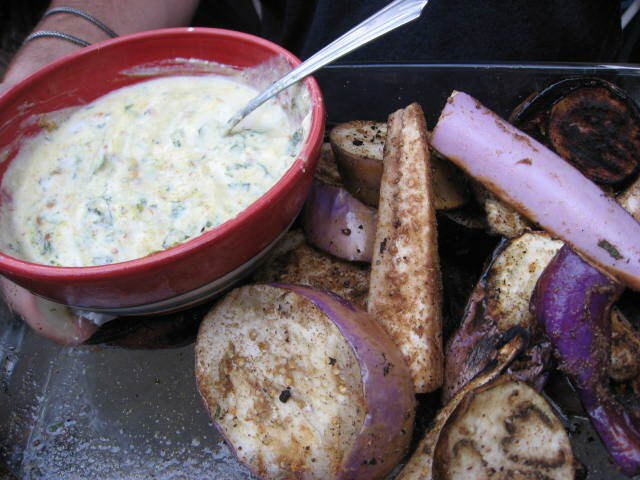 Eggplant does not have to be dark purple and globular and often relatively flavorless. Eggplant can, in fact, be delicious, and worthy of the most simple treatment, showcasing it as the centerpiece of the dish itself, instead of just a vehicle for cheese and tomato sauce (eggplant parm) or covered in soy sauce (every stir fry ever). This weekend, I tried a second incarnation of the Butter Burger. It, too, was delicious, though my memory of the level of deliciousness of this version versus the previous version isn’t good enough to declare a winner. And there are yet more versions to come! I think probably this will all have to end with a giant butter burger face-off. It will be epic. The day before Memorial Day, I heard about an awe-inspiring creation: the butter burger. The butter burger? Butter? In a burger? Need I say more? Well, yes. Probably I do. Because the butter burger needs some ‘splainin. 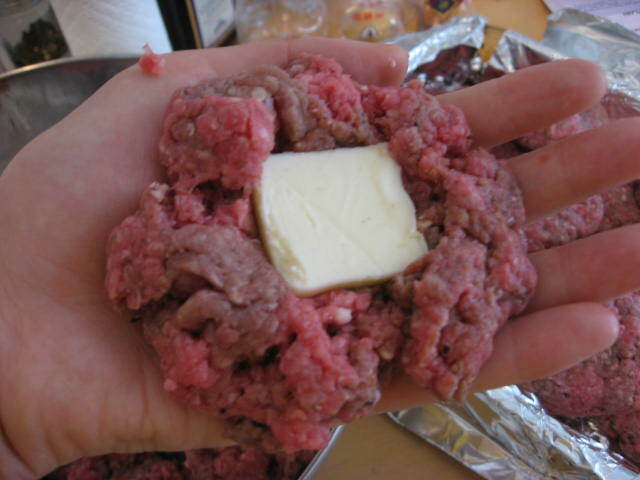 In my tipster’s version, and the version I replicated at the BBQ I went to Monday, you simply mix some minced butter right in with your ground beef. Curious to see how widespread a phenomenon this butter burger is, I googled “butter burger,” tracing the most popular reference to Solly’s Grille in Milwaukee, where they apparently coat the bun with butter before cooking the burger in it. A different kind of butter burger. There are, in fact, many kinds of butter burgers out there, and seemingly no definitive — or even most common — version. Solly’s is definitely the most mentioned restaurant, so maybe the default technique. But I found recipes using melted butter (mixed into the meat and also a version with it just poured over the meat), softened butter (mixed into the meat), a pat of butter (stuffed into the meat), and minced butter, like mine (kind of mixed, kind of stuffed). The idea, I think, behind the butter burger is that the butter will melt during cooking, making the meat even more juicy and luscious-tasting than it already would have been. So you can use this in fattier ground beef and give it all the more mouth-feel, or you can use it in leaner beef to up the ante a little. You can also mix herbs or flavorings in with the butter, though most of the comments I read on various blog postings consider that sacrilege. I am very curious to try all the versions, especially the one with melted butter mixed into the meat. But for starters, I thought I would try the one I heard of through word of mouth.